Soft lime green flowers in miniature form. 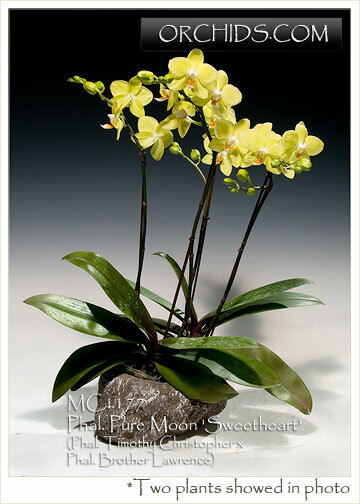 The multi-floral miniature pod parent, Phal. Timothy Christopher, brings a great branching habit and compact spike and leaf habit to this hybrid. Phal. Brother Lawrence gives it the color and increased flower substance for longer lasting blooms. 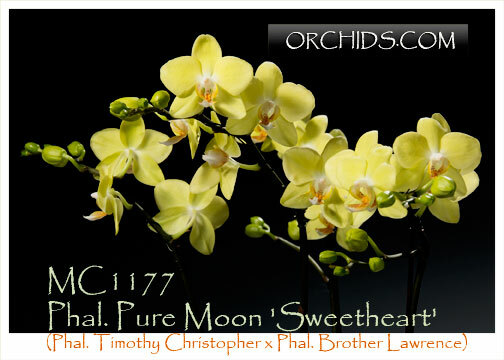 A new direction in breeding for multi-floral miniature green Phalaenopsis !